Eduational Magic Show Assemblies for Elementary Schools! Great News! 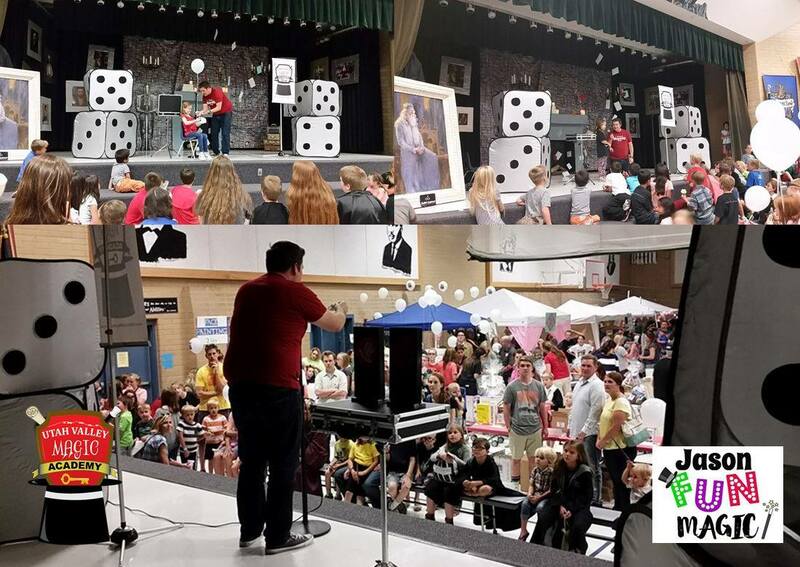 Utah's FUNNEST magician, Jason Fun, is now offering his educational magic classes as an Assembly or as an After School Program! We have a couple of options available! Ask us how we can bring our educational magic shows to your school! Your school can even get a FREE Assembly! Ask me how! The Secret Safari Assembly is an up to 45 min Educational Assembly Show where we show you that Magic can be found all around us! Using STEM principles, we teach that Magic is Science, Magic is Technology, Magic is Engineering, and Magic is Math! This educational Assembly also teaches the kids magic tricks that they can do using these principles! A very fun and high energy show presented by professional magician and magic teacher, Jason Fun! Optional Secret File Folders and Magic Trick available for purchase! The Magic Words Assembly is an up to 45 min Educational Assembly Show where kids learn that the words we use matter! While magic words like Hocus Pocus and Abracadabra are fun, REAL Magic Words like "Hello", "Please", "Thank You", "I'm Sorry", and "I Forgive You" (among others) are POWER WORDS that we can use to make others feel real magic! Using clever play-on-words, professional magician and magic teacher Jason Fun will cut a lady in half and even send YOU flying through the air! Kids will even learn how to perform a fun magic trick! This fun and high energy show will have you laughing from the clever play-on-words, and will make you think about the words you use everyday! This is an anti-bullying assembly that never uses the word bully! We focus on the positive that words have! Optional Secret File Folders and Magic Trick available for purchase! Bring our Complete Magic Course to your school or afterschool program! Our educational magic classes aren't bound to a specific location...we go where ever there is a demand! You want us to come to you? Let's make it happen! Our Magic Courses focus on character building and so much MORE! To learn more about our Magic Courses, click here. Send me a message to Reserve a date so we can come to your school, club, business or organization!